A circus without a clown is no fun at all, and it is important that young folk don't forget that! If you think your child is good for a joke and makes others giggle, you might like to book him or her onto a workshop dedicated to clowning. The Clowning Workshop for Children, hosted by Born in a Taxi, suitable for kids aged 5 to 10, will create a space where children can shine and trust their own creative voice. The 2-hour workshop will be filled with fun, games and lots of LOLs. 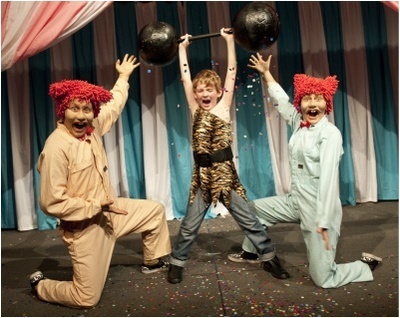 Your child will develop skills in clowning and physical expression which boosts confidence in performing for an audience. This one-off workshop over the winter school holidays will take place at The National Theatre in St Kilda on 7 July 2015, and cost $10 per child. Book your place HERE.